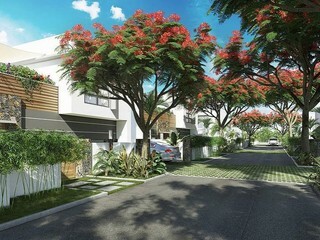 Sign-up and receive Property Email Alerts of Residential New Developments in Black River, West Mauritius. 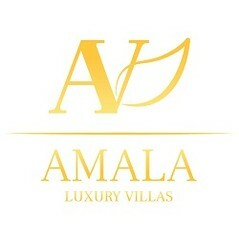 Amala Villas is a luxury real estate development program comprising of 11 independent villas with three to four bedrooms, on surfaces between 432 and 807 square meters, with private areas and individual swimming pools. 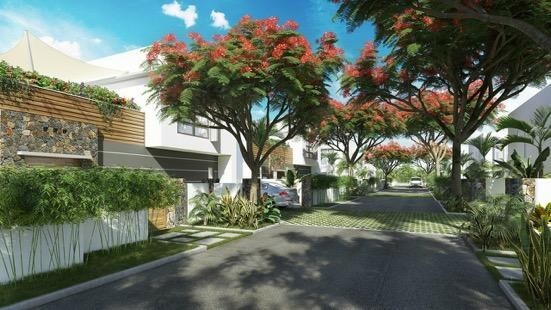 The project is equipped with a communal Gym, fully equipped in a green area. The Amala Villas is situated in the heart of one of the most beautiful sites of Mauritius, on the western coast with,on one side the hot and turquoise waters of the Indian Ocean and on the other The Black River Gorges National Park, nestled in lush greenery, ideal for re-invigorate, with grandiose panoramas and pure nature.